Living Education eFocus News interviewed Mr. Raymond M. Burse, president of Kentucky State University about his passion for helping others and making a difference. Raymond M. Burse began as interim president of Kentucky State University on July 1, 2014. 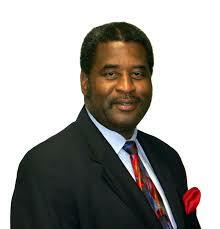 A native of Hopkinsville, Ky., Burse has a long record of achievement in academics, athletics and community service. As president of KSU, from 1982 to 1989, he oversaw record enrollment, more than $60 million in capital improvements and significant enhancements in the academic and financial operations of the institution, including the establishment of the Whitney M. Young College of Leadership Studies. He later became an executive at General Electric Company from which he retired in 2012 after 17 years. He initially served as GE Appliance’s senior counsel and then became a corporate officer as vice president and general counsel. Before joining GE, he was a partner in the law firm of Wyatt, Tarrant & Combs in Louisville, Ky.
Burse received his law degree in 1978 from Harvard Law School. He received a bachelor’s degree in chemistry and mathematics in 1973 from Centre College, where he was named to the Deans’ List for four years. In addition to his high achievements in academics, he excelled in sports from high school through college. He was named to the All-College Athletic Conference Football Team as well as Centre’s Most Valuable Offensive Player in football.